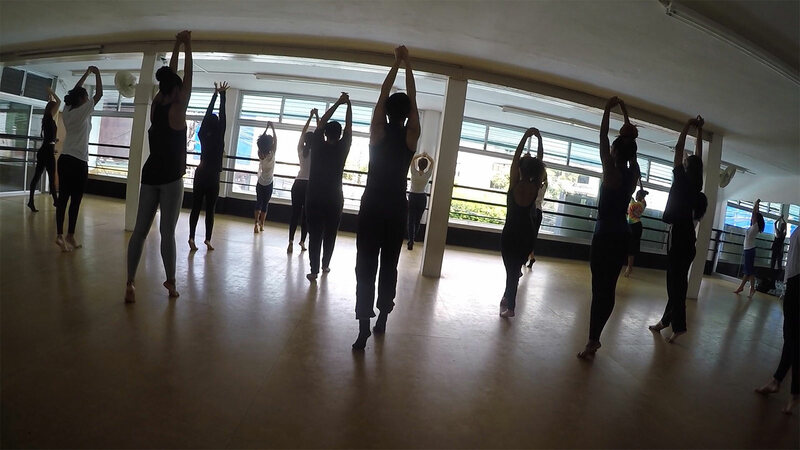 On the third day of our trip, I co-taught a class at the University of Panama. This experience made me realize how dance can can truly break down any barriers, especially those of communication. The class was entirely improvisational. We wanted to give the students the freedom to explore and create, while at the same time allowing us the opportunity to learn how their bodies move. Since we were both university students, the environment that was created was magical. I saw the qualities that we taught them through our movement, but I also saw how they took our movement and made it their own. They did this so fearlessly and beautifully. I was inspired to see how the flow of communication opened, even though there was the unavoidable language barrier. This barrier was shattered with bodies moving together, a willingness to share the self, and the genuine hunger to learn from each other.